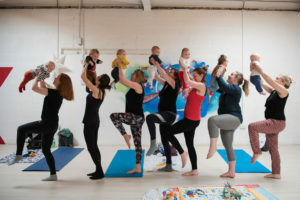 How wonderful to be back at the helm this week, and back teaching you guys last Saturday at March’s Trigger Point Pilates workshop: what a lovely cushion to land back in Edinburgh, surrounded by such lovely bodies! Thank you for terrific commitment as ever! I am back and fully nourished after a fortnight surrounded by my family; now I am just taking one day at a time and gearing back up to move forward with all the exciting stuff around our re-launch which has been pushed back to May; the new website and new logo etc, that is yet to come. This week our focus is on wellbeing and wellness following the time away, and really getting back to opening the body up again, using lifting and really lifting the ribs. I hope you are enjoying the sessions this week. I just wanted to let you know that next week we will be taking a break, and the studio will be closed, from Monday 8th to Sunday 14th April inclusive. I hope you all make great use of the break, and keep your bodies moving! We are just putting the final plans together for our re-scheduled Launch week, so as soon as I know, I will be publishing those dates. So I will finish by saying that if you are feeling super keen, you can get ahead and book yourself onto April’s Trigger Point Pilates workshop! Click here to book!